This feels a little bit like déjà vu… Even though it’s another one of my christmas gifts for myself it’s something i just want to get out of the way and move on to other things. I basically could have just copy/pasted my previous post but let’s see what we got here. 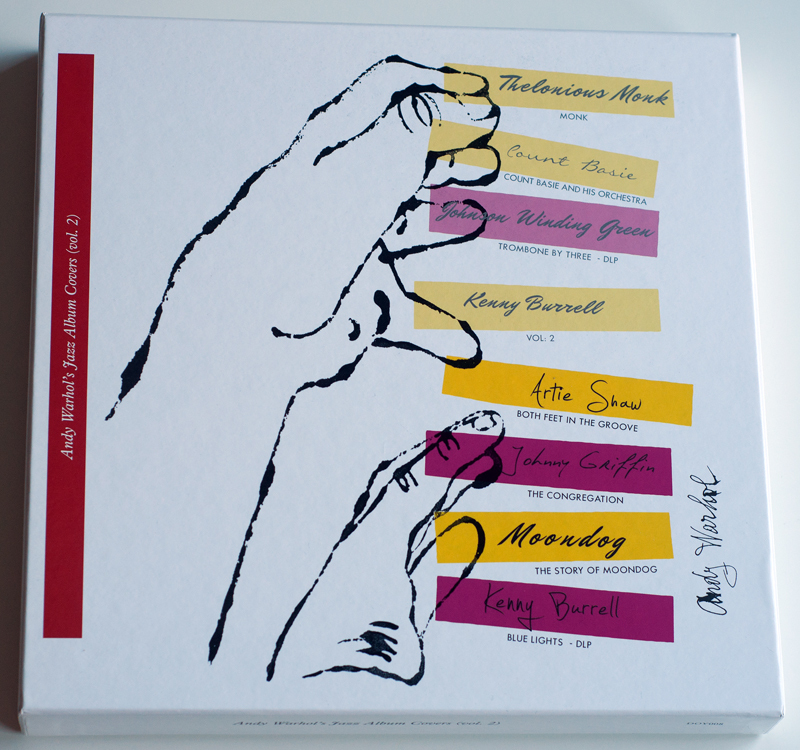 This is the second volume of DOXY’s boxes of Warhol’s jazz album covers and as with the first one there’s really only one reason that i got this and that’s Kenny Burrell’s Blue Lights. Well, i also kind of wanted it just to have both boxes so maybe it was more like two reasons. As i wrote in my previous post i wasn’t aware of the quality of the covers when i ordered this, i would most likely have ordered it anyway for the above reason but i would not have been so eager and payed a little more than $100 for it. But oh well, what’s done is done. 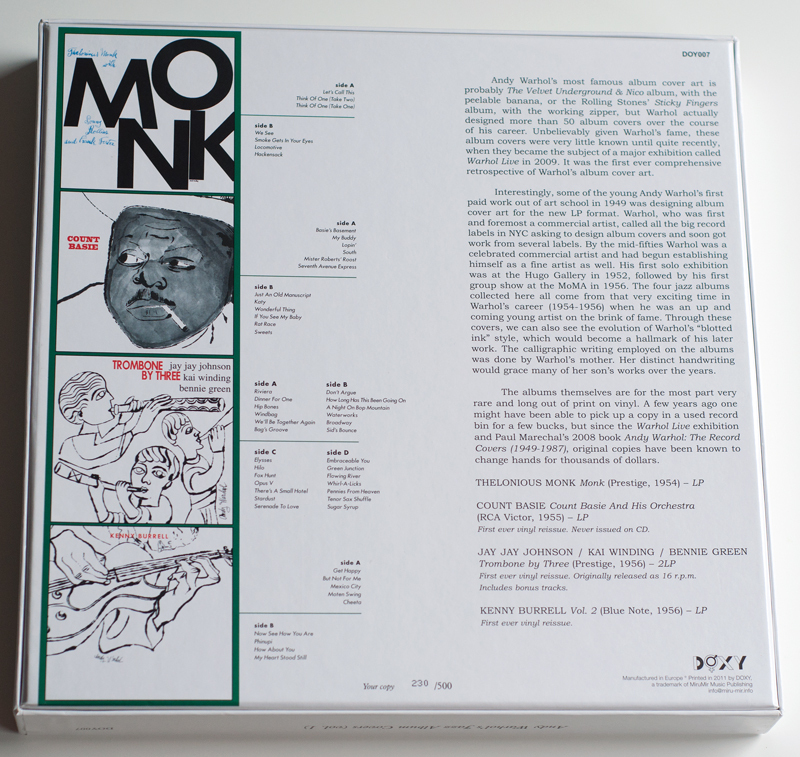 Besides Blue Lights this volume contains copies of Both Feet in the Groove, The Congregation and The Story Of Moondog and once again the circumstances are the same in that i already had reissues of all of these and in the case of Both Feet in the Groove an original copy. 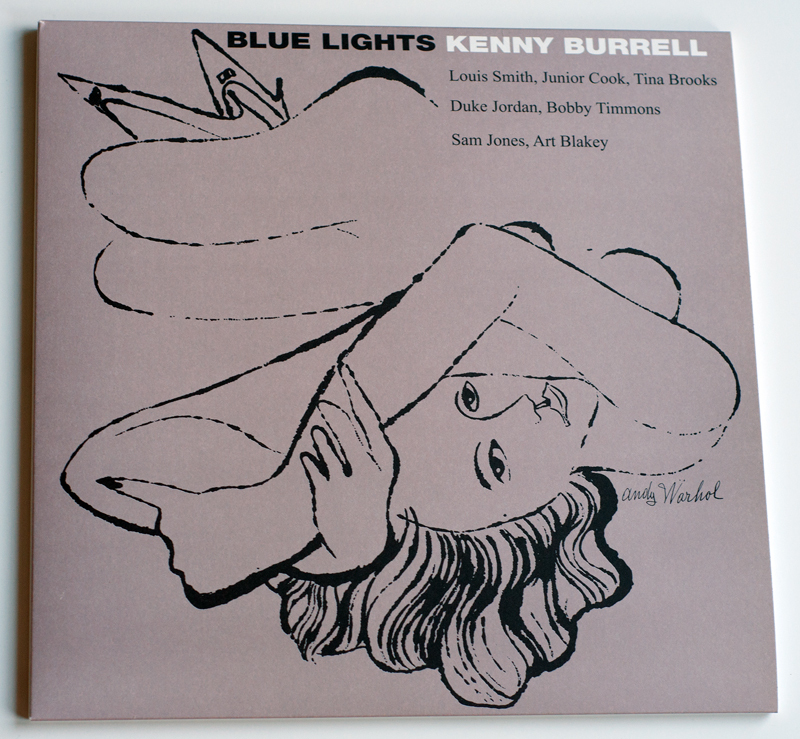 All references to Blue Note and things like that are of course removed and when it comes to Blue Lights they decided to make a double album kind of thing and thus the text “Volume” has been removed from the front cover. As far as i can tell they also added a track called I Never Knew that i don’t think is on either the original Vol. 1 or 2. All other covers might have underwent similar small design changes but i haven’t looked at them close enough to give any more examples. 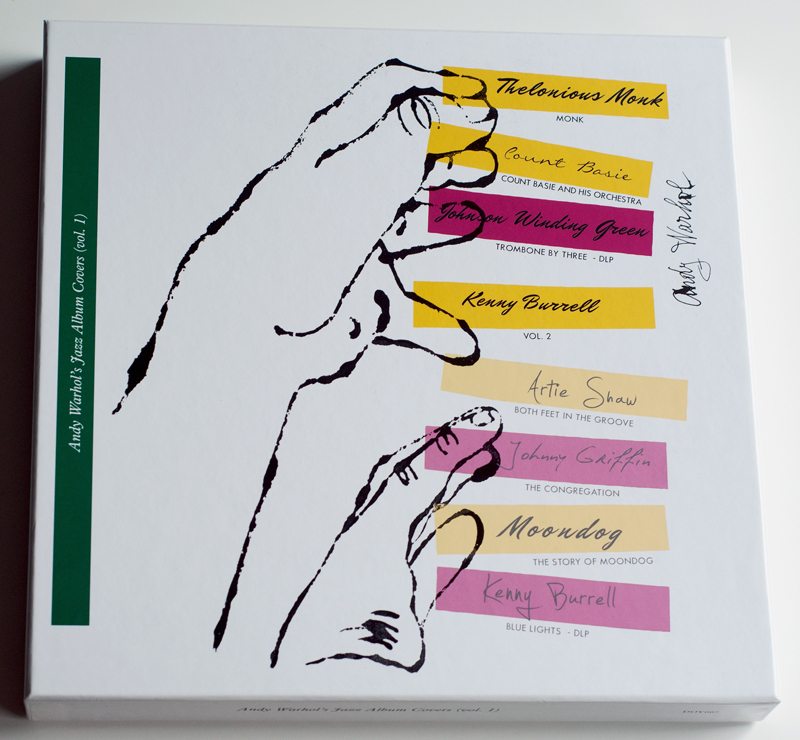 As with the first box this one is of course also a limited and numbered edition of 500 copies and my copy is number 340. I guess they might have fooled some people with this “limited” thing but crap is rarely limited and even more seldom numbered… I won’t bore anyone with any more thoughts and comments about the condition of the records, but things are exactly as they were the first time around. In short these boxes are really only for the closest mourners. So there it is. I’ve now put both of these away and most likely will never look at them again…. If nothing else i will have played a nice joke on my daughter when she finds these after i’m gone and thinks they must be worth a fortune! Cooler things to come later in the week! Just a short background, and this will be short because for once i’m not interested enough to do a proper and thorough investigation kind of thing. Why? Well, bascially because the records are crap. The actual box is quite nice but the content is disappointing, to say the least. 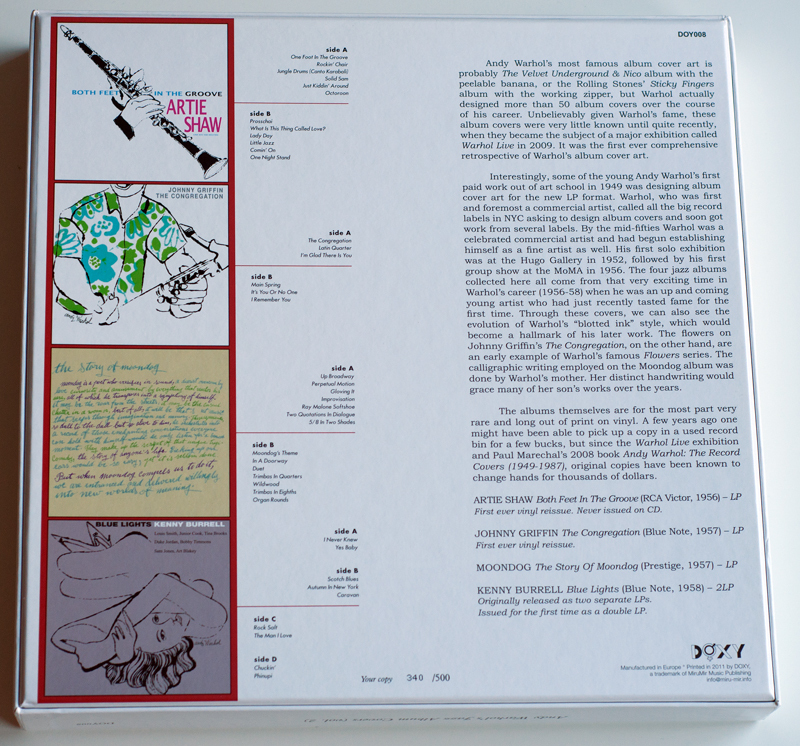 Anyways, both of these boxes were released at the end of 2011 on a label from Italy called Doxy Records and each volume comes in an edition of 500 numbered copies, my copy is number 230. But how was all this even possible? Well, as said i don’t really feel like going to the bottom of it all but it must have something to do with a european loophole when it comes to the copyright terms and the rules about public domain. One of my favourite bands of all time is The Beatles and i remember reading some articles (like this one in Rolling Stone Magazine) a while ago about Love Me Do entering the public domain at the start of 2013, there was also some fuzz about a couple of small labels releasing reissues of the song. As i understand it the copyright term enjoyed by sound recordings in the european union used to be 50 years but has now been changed to 70 years. It’s probably still 50 years in some counties since these things can take quite some time to implement in the different countries. But anyways, that would somewhat explain the recordings since all the albums in the boxes are +50 years old. But the artwork? This i don’t understand and hopefully someone from the WCCC or someone else can explain it better in a comment or something. Andy Warhol has not been dead for 70 years, did he sign away his copyright to the labels he did the work for, and if so, does that copyright then follow the music in some strange way? I don’t know how these things work, and frankly i don’t care THAT much either. This is hardly news to anyone that’s even slightly into all this but this is a later reissue of the very rare and highly sought after original bootleg on orange or black vinyl from 1983. To the best of my knowledge this hit the scene at the beginning of 2014. At the time the members of the WCCC seemed a bit perplexed not knowing what to make of it really, who, where, when and why? My first thoughts and feelings were those of, in lack of a better word, a scam of sorts or at least the work of a shyster. And those initial thoughts are still there, but obviously i gave in to temptation and caved in… As said the original has always made the boys with deep pockets come out to play and sometimes selling for more than $1000. When this reissue first appeared it was selling for upwards of $250 which given my thoughts about it naturally made me look the other way. As copies then stopped appearing on ebay i basically forgot about it until just a couple of months ago when Richard Forrest’s post about his copies made it come up for a bit of discussion in the WCCC and i was informed by Guy Minnebach that copies were now available for $40 or so, and there are still a number of copies in that region on discogs. I know little about it other than the fact that it’s a german reissue and that it’s a limited and numbered edition of 350 copies. It’s available on green or black vinyl and i’ve put some time into trying to figure out if there are 350 copies of each color or if that number is for the total edition. This basically means contacting different sellers and asking if they know, which of course they don’t. My copy is number 217 and i decided to go with the colored green vinyl and it’s also still sealed. However, the seller has opened it a little bit to have a peak inside. This is most likely to see what color vinyl is inside which is strange because it also has an ugly green sticker on the plastic which to any non-genious would indicate this is a green version. Whatever the case it doesn’t lead me any closer to a guess about the total number of these, i’m leaning towards 350 copies in total but i don’t know… and it doesn’t really matter anyways. There are also a few small differences between this one and the original issue. I’ve never had my hands on the original so i can’t say anything about the general quality but Frank Edwards notes in his post that the cardboard is of much lesser quality, and i’ll take his word for it. But that aside, let start with the front. The cover image is much brighter, crisper and packs more of a punch than the original and it also has Warhol’s signature below the portrait. On to the back where there’s really only one big change – everyones favourite alien E.T has sadly been replaced by all ten of the portraits in the Mick Jagger series of screen prints. It seems that Warhol + Jagger is somewhat of a favourite combination for covers to bootleg recordings of The Rolling Stones. 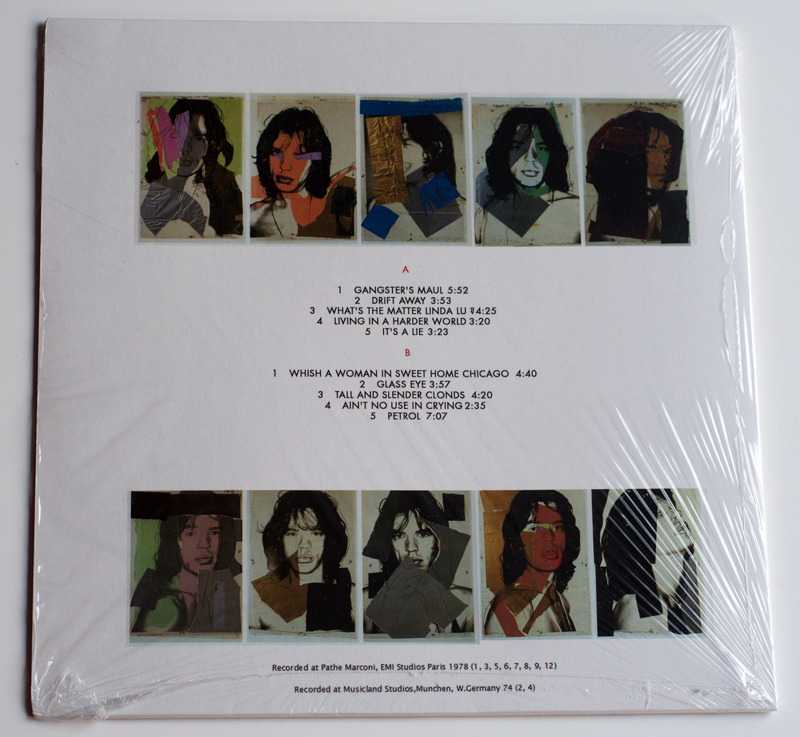 Apart from what is now two editions of this album there’s also the very rare Mick Jagger in Japan that Frank Edwards dug up from god knows where a little over a year ago. This record has a different portrait on the cover and though not really a Rolling Stones bootleg i’ll still put them in the same pile for this. 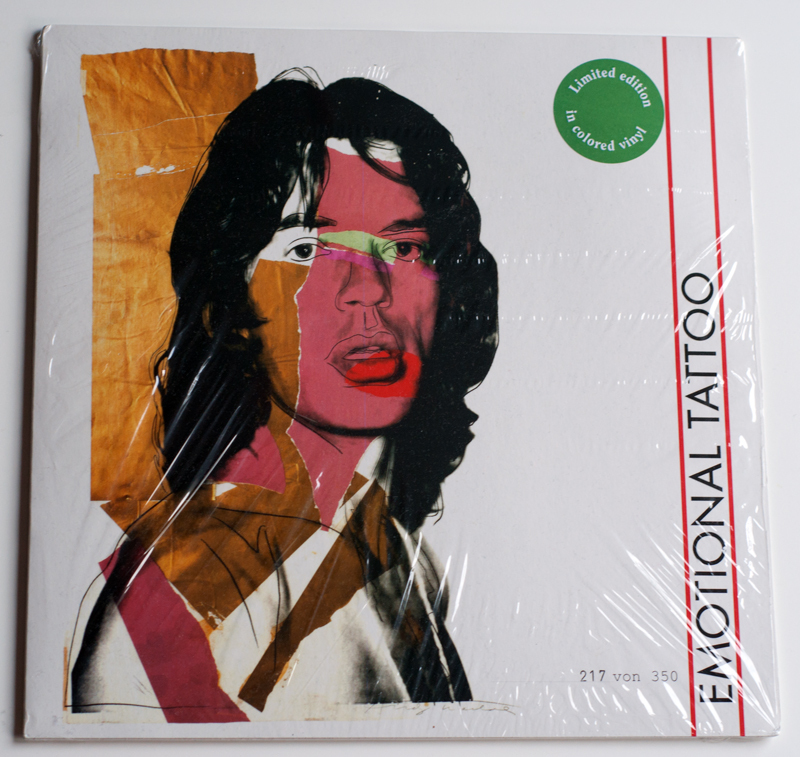 But that’s not all, just recently yet another record with a Mick Jagger portrait cover turned up on ebay. This one is called Lonely at the Top and uses the same portrait as the one for Emotional Tattoo. I think this one is also from Germany, on a label or whatever called CAT Records and limited and numbered to 55 copies. It’s been on ebay lately with outrageous starting bids but looking at popsike it seems it should be possible to find a copy for a lot less with a bit of patience. So, that’s that. Even though the original release from 1983 in my opinion has more of a genuine or legit feel to it this will do nicely and i feel no shame in putting this down as the first addition to my collection of record covers of the year. Perhaps not a thrilling addition but i still quite like it. More things to come! During slow days at work i usually try and squeeze in a hour or so of image searching. I’m starting to get a little sick of it but i’m going to try and stick with it… Books is the main focus of this and still primarily titles plublished by Doubleday. This week i’ve been looking at Anchor Books which is another imprint under Doubleday and on which The Grand Mademoiselle was published. Where there’s one there might be more, right? Unfortunately and of course not unexpectedly i haven’t been able to find anything so far. 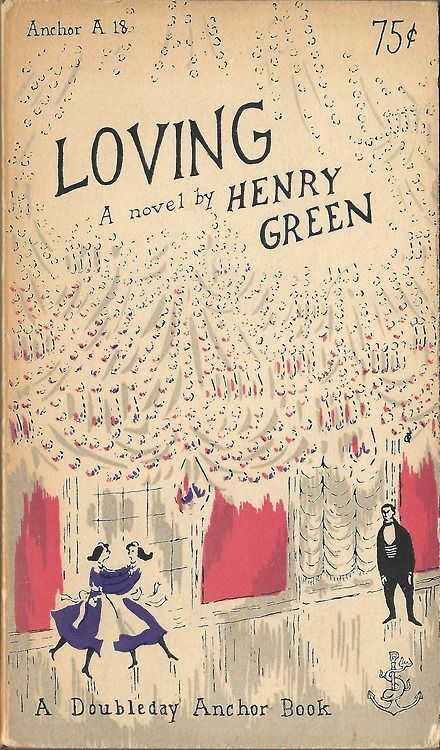 I did find one book called Loving A Novel written by Henry Green that was published in 1953 that for some reason had somewhat of a Warhol feel to me. At least judging from what was a thumbnail at first and mayby because i was tired of staring at images and convinced myself it was worth a look. But at a first glance i thought about the drawings on Rhapsody in Blue / Grand Canyon Suite and Porgy and Bess and… well, i don’t know. The cover is by a guy namned Edward Gorey so move along, nothing to see here… And that’s pretty much all i could find when it comes to Anchor Books, at least so far. 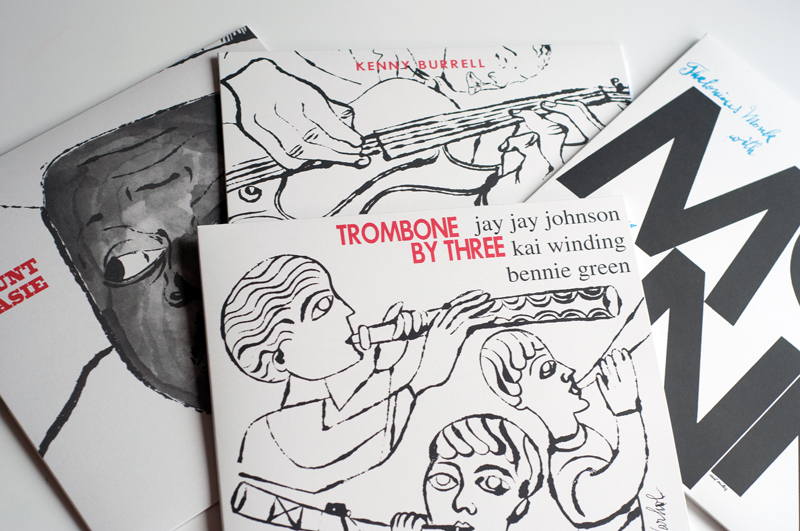 I did however find another book that i thought had some pretty obvious references to another of Warhol’s dust jacket. 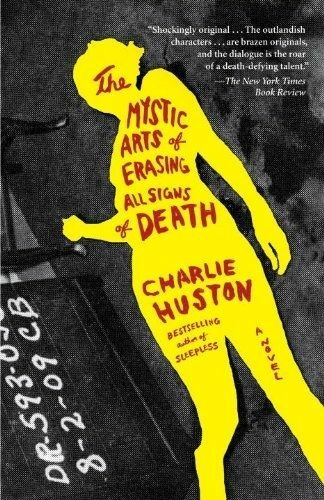 The book is called The Mystic Arts of Erasing All Signs of Death and written by Charlie Huston and i think it was published in 2009 so it didn’t get my attention as a possible Warhol. But the yellow featureless figure with red typography on a black and white background very much resembles the jacket to The Runaway Pigeon. It might just be coincidence of course but i still thought it was pretty neat. 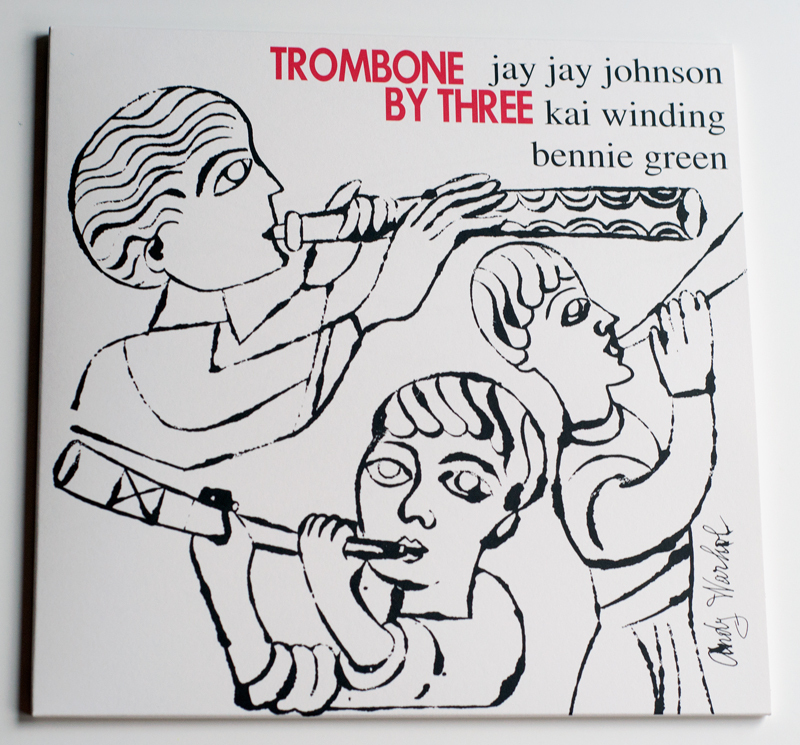 It’s not all about books though and for a moment i thought that i might have found a record. 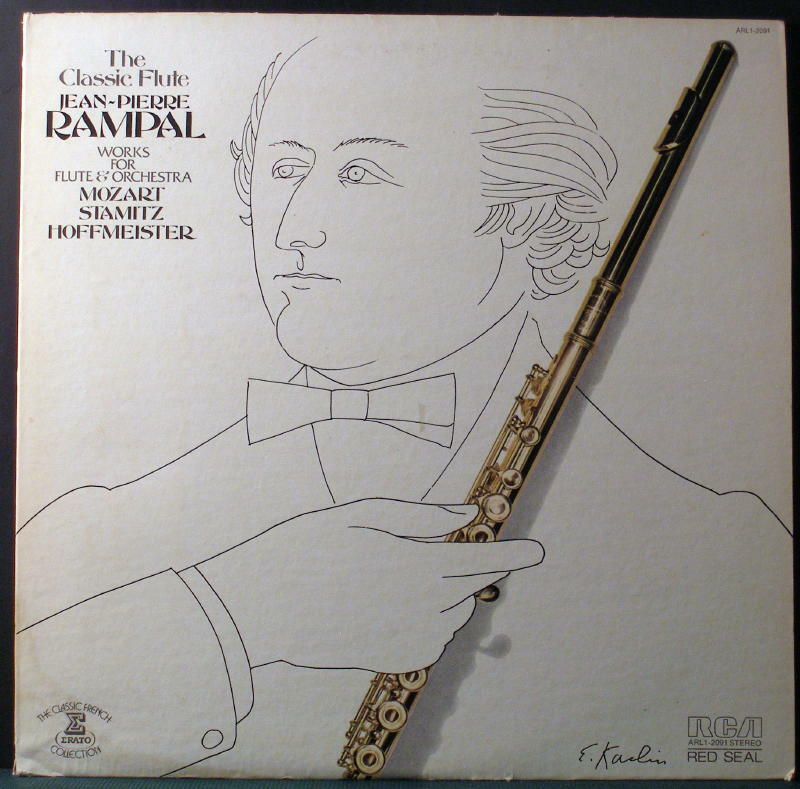 I was looking for covers to old albums with classical music on the RCA Victor label and noticed a small thumbnail of this album called The Classical Flute. It didn’t really get my heartbeat racing but any “line type” kind of drawing might be worth a closer look. It also has the familar collage thing with a drawing and a photo going on…It is however signed by someone and it’s obviously not Warhol. I’ll start with the lows though, just to get those out of the way and move on to more fun things. And there is really only one things that bugs me, and i have already cried, complained and moaned about this many times before so i’m not going to continue to dwell on it. But every time i see a copy of Cool Gabriels on ebay for +$500 i’m reminded of the time i didn’t push my bid just a little bit more the first time it was on that Auctionet site, so incredibly stupid! I have however placed an order with the WCCC’s most prolific “counterfeiter” Richard Forrest, so maybe Cool Gabriels will be among the highlights of next years summary instead… So, that’s that about the lows. On to greater and more positive things! The biggest and most exciting thing of the previous year does not really involve me directly. For a couple of years i’ve been reading Frank Edwards excellent blog and looking in awe on both covers that will perhaps forever be out of my reach, like Trombone by Three, Waltzes and 4 Divertimenti just to name a few as well as a ton of other covers either influenced by Warhol of with references to his work. I can’t remember when i first heard the news that all this incredible amount of time and work tracking all these covers down might result in an exhibition but whatever the case it finally came true this previous summer. 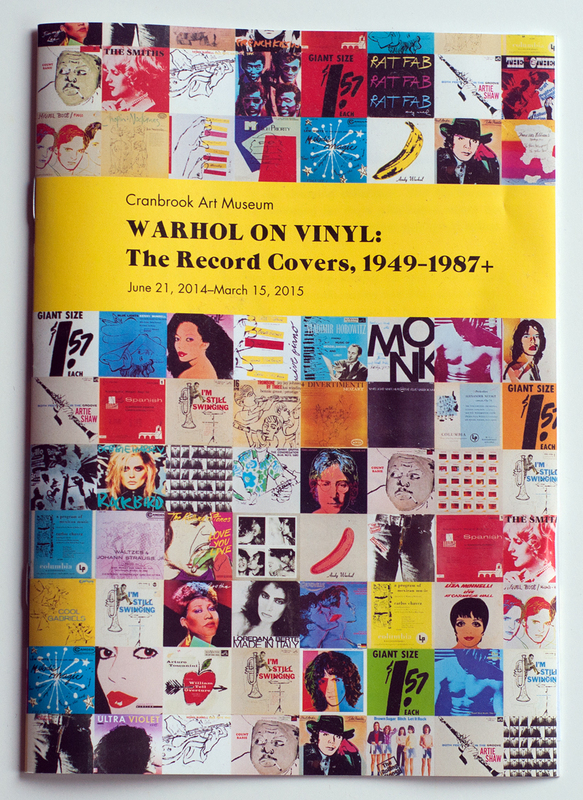 The exhibition Warhol On Vinyl: The Record Covers, 1949-1987+ is on display at the Cranbrook Art Museum in Michigan for another three months, so anybody that stumbles upon my blog and happens to live in the area should definitely not miss the opportunity to go see it! When it comes to my own collection a lot of things happened as well. 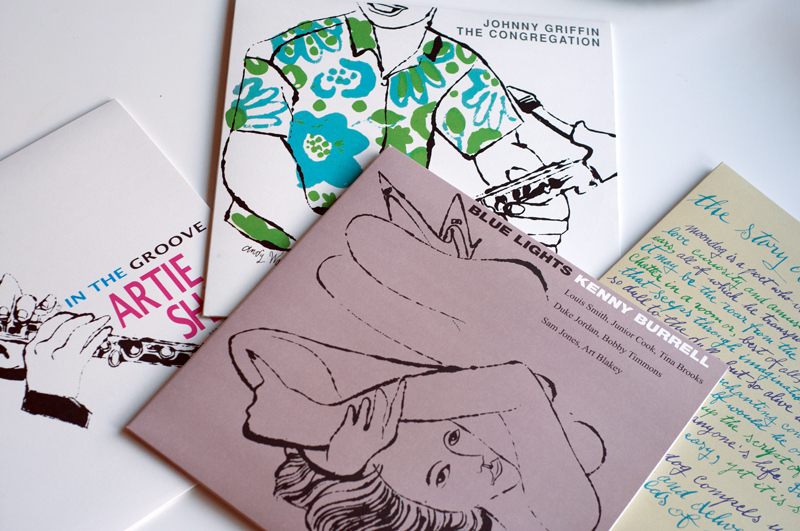 Even if my book collection “officially” started during 2013 and though i was able to find a couple of books during the end of that year with Borderline Ballads and Love is a Pie being the best finds it was during the previous year that it all really took off. As i’ve said before i’ve had a lot of fun tracking down these books and things have really moved along at a much faster pace than i could ever have hoped for. What initially was a small pile on a desk has now evolved into half a shelf by my bed and it certainly wasn’t easy picking out the highlights of the year from what has now become almost a small library. But if i had to pick three (because things look good in threes) it will probably have to be Pistols For Two, According to the Evidence and The Runaway Pigeon. So, why these three? 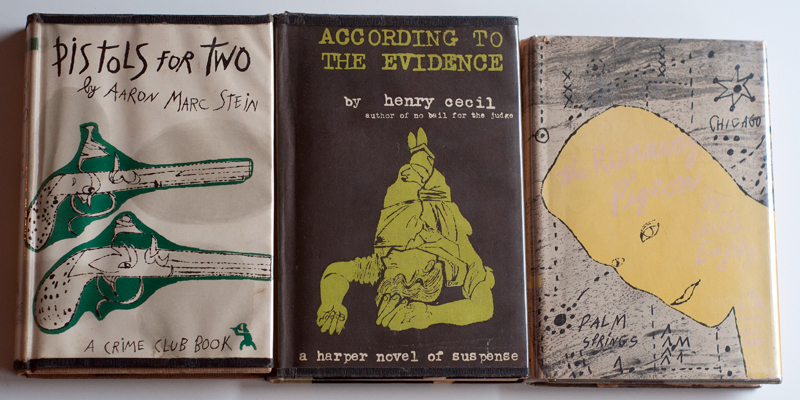 Well, besides the fact that they are all really great looking dust jackets it’s mainly because two of them (if not all three) are in my opinion among the most rare ones. As i’ve gotten more and more into this area of Warhol’s work it has also become clear that these are incredibly hard to find and two of them i have not really seen anywhere. I can’t take full credit for finding them either since they were part of the very genrous trade i made with Guy Minnebach. The one out of the bunch that i did find myself (Pistols For Two) was also found under such wierd and funny circumstances which in itself would justify a place among the highlights of the year. That it happens to be one of my favourite dust jackets just adds to it all. Other honorable mentions would be The Desire and Pursuit of the Whole, Who Cooked Mother Goose? and The Madhouse in Washington Square. All of these also appear tricky to find but you can’t have everything in your highlight reel now can you? Sadly it’s been a pretty slow year when it comes to record covers. Mainly because i’ve come to a point where i’m really only looking for the really rare and expensive covers. I did however find one of these during the summer. Ever since i started collecting the record covers Latin Rhythms by the Boston Pops has been one of my absolute favorites. After letting a couple of them go because i was hung up on a price tag at around $100 i finally decided that i was not going to let this one slip. Even though everything was set for another failure when i fell asleep after setting the alarm to be ready for the end of the auction it all worked out in the end, maybe most of the internets ebayers was on vacation… Since i don’t have too many of these a bit rarer record covers it was a great feeling at the time to finally get my hands of it. The only other thing that raised my heart rate a little bit last year when it comes to record covers was also something i can’t take any credit for really. 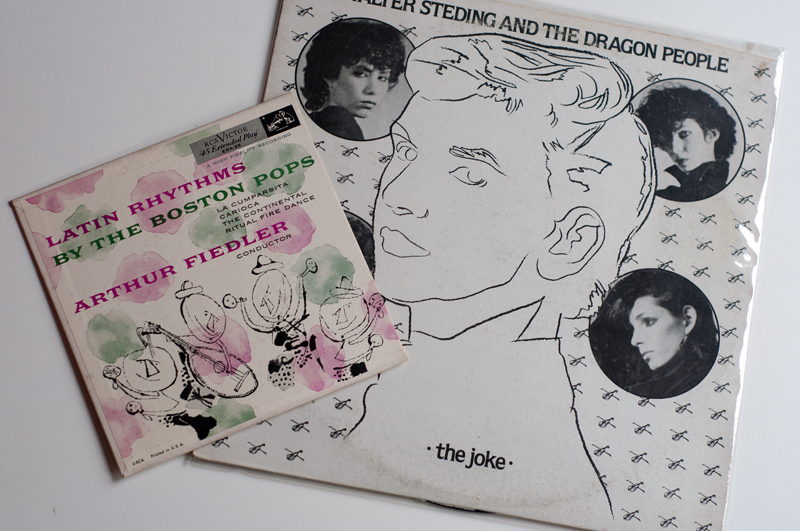 Again, thanks to the very generous trade i did with Guy Minnebach i got to add another of my personal top five covers to my collection – The Joke / Chase The Dragon by Walter Steading and the Dragon People. So, even if there is no way getting around the fact that 2014 was more about books and dust jackets than record covers i did get to add two covers that i was starting to think i might never find. Honorable mentions in this area might be A Program of Mexican Music (which i don’t really care for other than that it’s Warhol’s first cover) and Both Feet in the Groove. The latter, although it might not be super rare, is also a cover that i really enjoy. It’s also a good example of what the WCCC adds to all this when it comes to keeping the motivation high and the fun in it at times when all that’s on ebay is Ultra Violets and things like that for thousands of dollars. I very generously got this copy free of charge from fellow collector Kevin Kinney and he, and everyone else has been of great help and support all throughout the year! With hopes of an equally fun and exciting 2015!